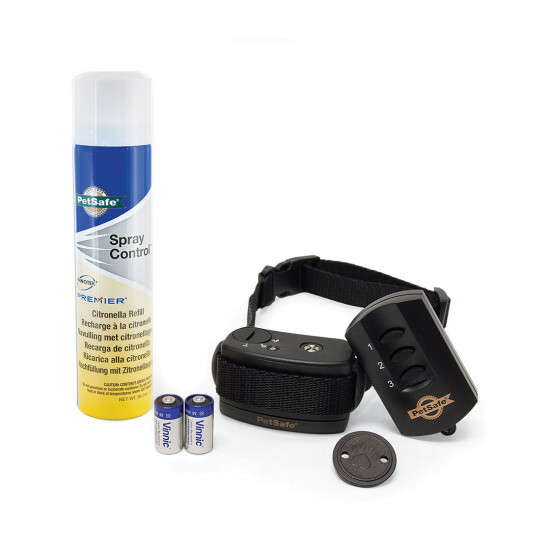 With 2 levels of spray and tone only features, your dog will quickly learn the association between his behavior and your correction; in no time you’ll have a better behaved pet. 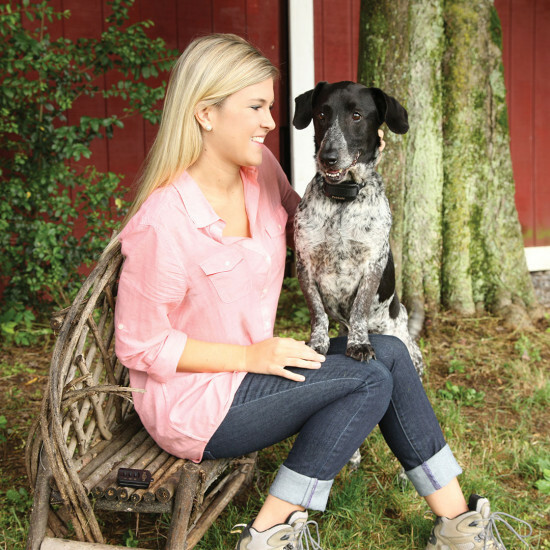 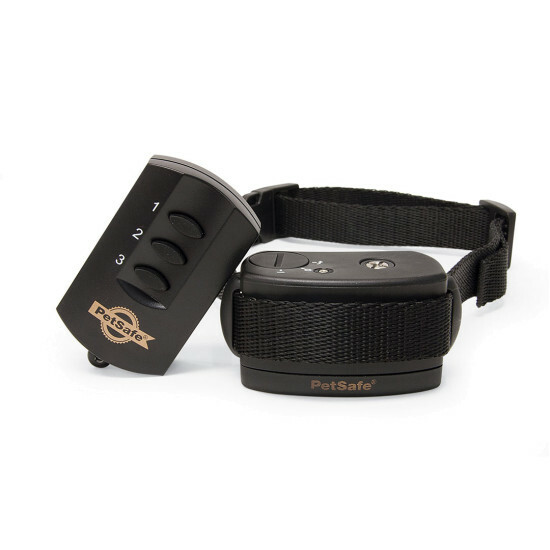 At the push of a button, your remote sends a signal activating your dog’s receiver collar up to 250 feet away. 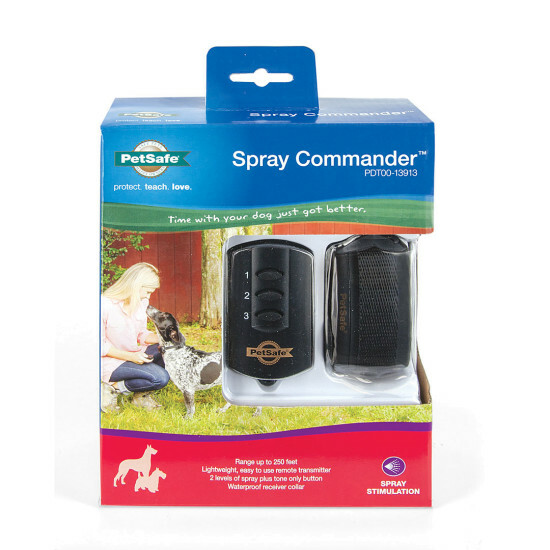 The Spray Commander Remote Trainer has been proven safe, comfortable, and effective for pets 8 pounds and up.